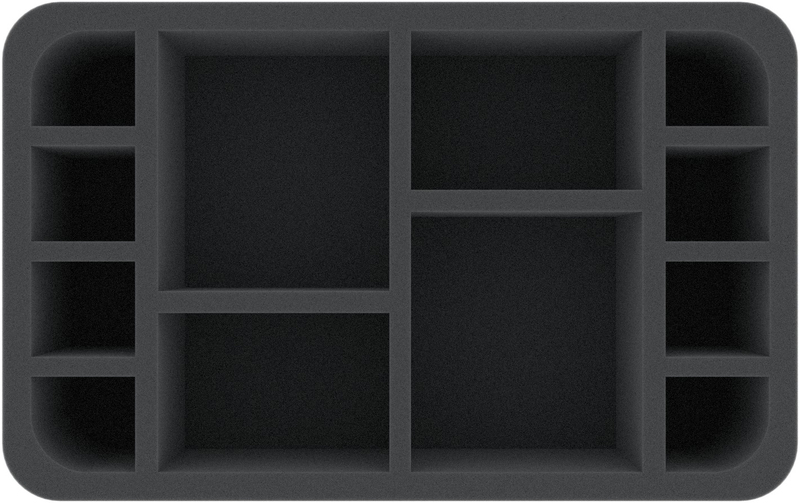 Perfect for larger and higher miniatures from various tabletop gaming systems. This foam tray has 12 compartments. Ready to use - glued 10 mm foam base. 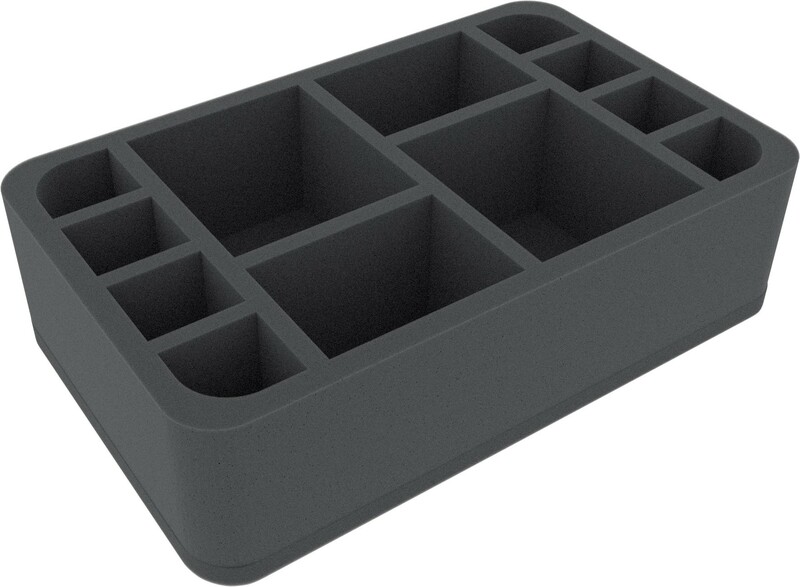 The Half-Size foam tray has the dimensions: 275 mm x 172 mm x 75 mm total height (65 usable height + 10 mm foam base).